 On Saturday 5th March, Global Justice Leicester and the Knighton Justice Group had a joint stall on Uppingham Rd, Leicester. It was great to chat to passers-by. 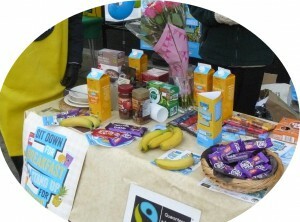 We are very grateful to the Co-op and Marks and Spencers who gave us examples of Fairtrade Products for the stall. We were able to give out samples for people to try. 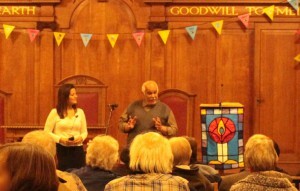 Then, on Wednesday 9th March, Mohammed Hamada, an olive farmer, shared his experience of fair trade in Palestine. This was a fantastic evening and Mohammed spoke movingly about the difference that selling Fairtrade Olive Oil had made to his family and farmers throughout Palestine. Read more about Mohammed’s story. You can buy his olive oil from Zaytoun.